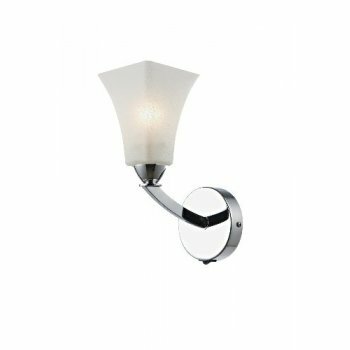 Dar Lighting Arlington single light wall fitting features a dramatic angular frame with a curved arm reaching out to opal white square top tapered glass shades. The product code for this Dar wall fitting is ARL0750. This striking Arlington collection also includes a 3 or 5 light ceiling fitting. A chic addition for any home.